SWAK! 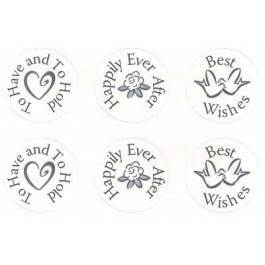 Sealed with a Kiss Mini Chocolate Stickers. 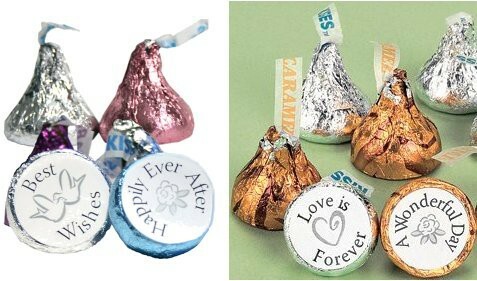 Express yourself with these stickers that fit perfectly on bottom of Hershey's (or other brand) chocolate kisses! 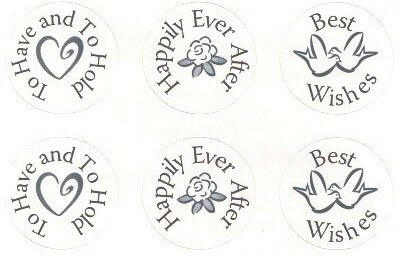 Each sticker contains an assorted good wish for the newly engaged, bridal shower honoree, newlyweds or anniversary couple. Extras can also be used to seal note card envelopes. Six different designs. Labels are 3/4" round.